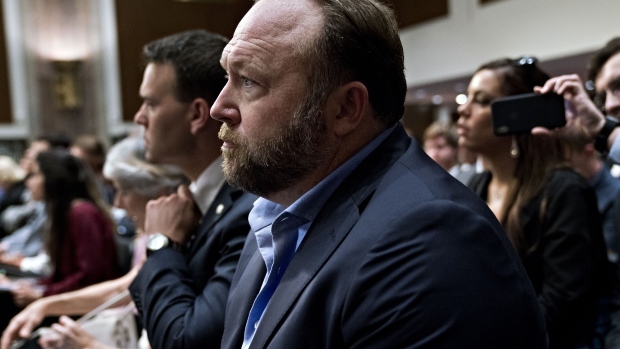 Twitter Inc. permanently suspended conspiracy theorist Alex Jones and the account for his InfoWars website, saying content Jones posted Wednesday violates the company’s abuse and harassment policies. Twitter (TWTR.N) didn’t specify the content posted by Jones that led to the decision. Chief Executive Officer Jack Dorsey testified Wednesday at U.S. congressional hearings about election interference and alleged anticonservative bias on the social-media platform. Jones attended the hearings, speaking to media members and getting into a hallway spat with Senator Marco Rubio, a Florida Republican. Dorsey said at the hearings that Twitter doesn’t use political ideology to make decisions and it strives to enforce its rules impartially. Apple Inc. (AAPL.O), Facebook Inc. (FB.O), and Google’s (GOOGL.O) YouTube last month purged content from the right-wing conspiracy theorist for violating its policies. Twitter allowed Jones to remain on its network, saying he hadn’t violated the company’s rules, which triggered a firestorm of criticism. The company later suspended both of his accounts for a week, stopping short of a permanent suspension.